For Amu, having to transfer to a new school in fifth grade was enough to keep busy. With her shy nature, all she can do is to put on a cool and spicy front as introductions and conversations never seem to go as planned. However, it soon turns out that Amu's tough exterior is all that her classmates see in her, giving birth to wild rumors spreading all over the school. Amu is close to despair � will she ever manage to openly state how she feels? A trick of fate will grant her this opportunity, and give her even more trouble to handle. Amu wakes up to find three unusual eggs � containers of her would-be selves. Soon enough, she starts experiencing short bursts of incredible abilities, from flight to master-level sketching skills, accompanied by equally drastic and short-lived changes to her personality. This gets her into a lot of embarrassing situations, and somehow appears to attract all kinds of troublesome people. 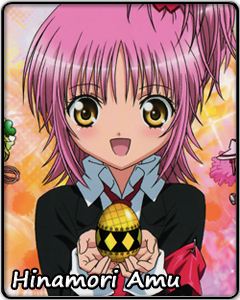 Amu learns she is expected to help purify the soul eggs of her schoolmates, seek the legendary embryo, protect the Humpty Lock, and do a slew of other troublesome things all while her hands are full dealing with her love life and other problems. And besides, all she ever wanted was to understand herself a little better.